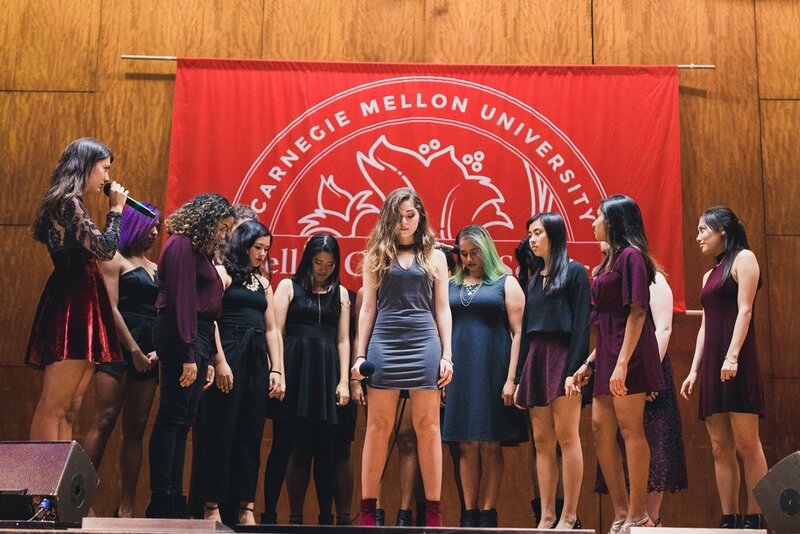 Counterpoint was founded in 2000 by Carolyn Weger as Carnegie Mellon’s first all female identifying a cappella group. Since then, we have worked hard to redefine the limits of an all-female a cappella group's potential. In 2008, we founded the AcaPittsburgh benefit concert, and we have been holding concerts to benefit local causes and non-profits every year since. We also compete at the International Championship of Collegiate A Cappella (ICCA) annually. Some of our other concerts at CMU include No Instruments Aloud, the Carnival A Cappella Concert, and Almost Midnight A Cappella!